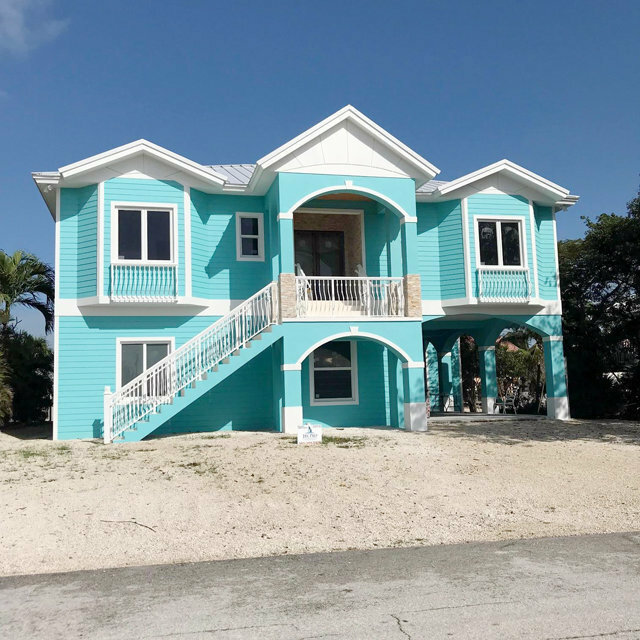 Residential - Single Family - Marathon, FL NEW, BEAUTIFUL 2 story concrete single family home in the heart of Marathon. This home has everything you could ask for inside; size, comfort, marble floors, quartz counter tops, separate bathroom for each bedroom, custom railings, vaulted ceilings and a separate entrance for the downstairs mother in-law suite. Plenty of room for your entire family and friends. Quick and easy access to the Bay. Be the first one to enjoy this fantastic home. Seawall to be completed in the next few weeks and will have a built in step down.